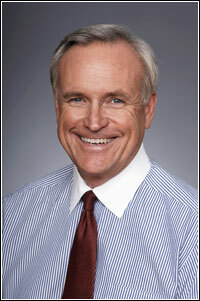 Bill King is a life-long resident of the Houston area. He was born and raised in Kemah, later attended University of Houston where he earned a bachelor’s degree in political science and a law degree. Mr. King currently is of counsel to Bracewell & Giuliani, LP. He has enjoyed a varied business career. In 2006, he retired as a managing partner of Linebarger Goggan Blair & Sampson, a national law firm representing government entities in receivables management. Mr. King is an investor and principal in other companies including Global FBO Holdings, Inc., EmLogis Systems, Inc. and BayHill Developers, LLC. His civic involvement has been extensive. In the early 1990s he returned to live in Kemah where he was elected to city council and eventually served two terms as mayor. He has served on numerous charitable and community boards including the Fire Fighters Foundation of Houston, Galveston Bay Foundation, Interfaith Ministries, Bay Area Houston Economic Partners and the HGAC Transportation Policy Council. During his years in public service Bill King has developed a keen interest in public policy issues. He has served on numerous committees and task forces studying issue related to the efficient delivery of public services, especially in the areas of public infrastructure, mobility, environmental stewardship and emergency preparedness.